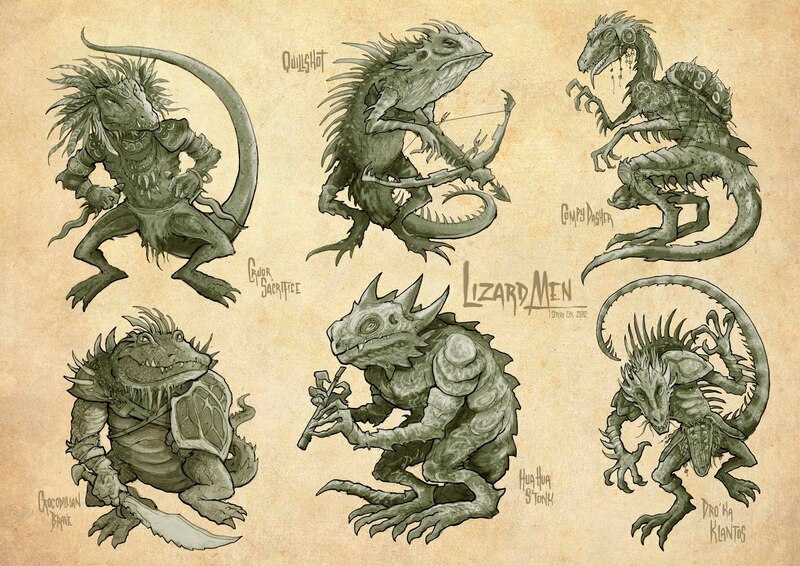 Here's a few Lizardmen character sketches I've been designing for the Lords of War game cards. I'm getting closer to finishing all of the characters for the game now. 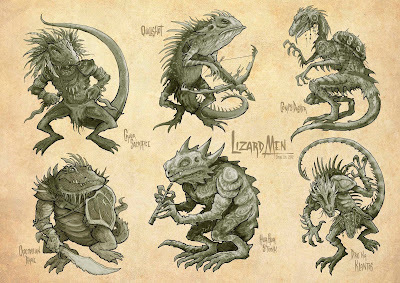 The whole thing has got to go to print in a couple of months time for the game launch in late Autumn.